Adam is available for clinics, masterclasses and demo presentations at schools and local music stores. Visit his web site for his performance calendar and to schedule a clinic, masterclass or presentation. 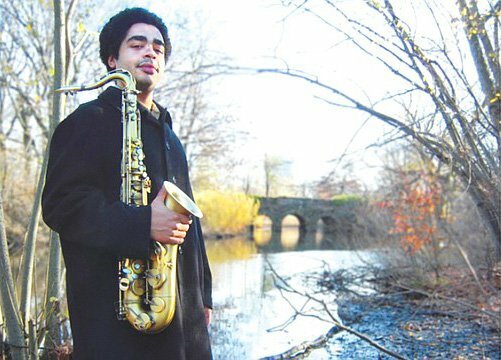 BIO: Adam’s interest in playing the saxophone began at age 10 after seeing several live jazz performances and listening to numerous Blue Note recordings in his father’s album collection, and would eventually become a life long passion. At age 16, Adam enrolled at his local university as a pre-music major so he could take college-level ear training and music theory classes. Years later, Adam began studying at Cornish College of the Arts where he had the privilege of working with many of the area’s most well known jazz musicians, which included Julian Priester, Jovino Santos Neto, Jay Thomas, Jim Knapp and Denney Goodhew. Adam began his professional performing career with the Jim Knapp Orchestra, a 13-piece big band comprised of some of the most talented jazz improvisers in the Seattle area. During this period, Adam had the opportunity to work with Ingrid Jensen, Jon Wikan, George Cables and Wynton Marsalis. He also played at many popular music venues in Seattle such as Tula’s, Bumbershoot and the Paramount Theatre. After graduating with a Bachelor’s Degree in Music from Cornish, Adam attendedthe New England Conservatory in Boston, MA, where he earned his Master’s of Music degree in December, 2011. While in Boston, he had the fortune of working with critically acclaimed musicians such as Dave Holland, Donny McCaslin, Miguel Zenon, Jerry Bergonzi, George Garzone, Billy Hart and Cecil Mcbee. Adam is currently working toward receiving his Doctor of Musical Arts degree at the University of Washington in Seattle. He also teaches privately and performs professionally throughout the Pacific Northwest.